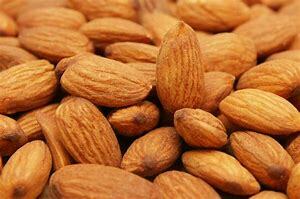 Key Nutrients: Protein, B vitamins, vitamin E, folate, niacin, calcium, phosphorus, potassium, and zinc. Click HERE for additional breakdown of nutritional facts. There are two types of almond flour, unblanched and blanched. Unblanched refers almond flour that has not had their skins removed. While blanched refers to almond flour that has had their skins removed. Blanched is easier to grind much finer. The video below shows you how to make blanched almond flour. How To Make Your Own: To make almond meal (blanched), take raw almonds, place in high output blender, food processor, or coffee grinder and grind until fine. Keep a close eye on it because if you blend too long it will turn into almond butter. You may have clumps that you can separate with your fingers. To make almond flour (blanched), take raw almond slivers (skinless almonds) , place in high output blender, food processor, or coffee grinder and grind until fine. Keep a close eye on it because if you blend too long it will turn into almond butter. You may have clumps that you can separate with your fingers. Please note it is difficult to get the flour as fine as some of the manufacturers can, but with a high output blender it does a pretty good job. This video below gives instructions on how to make your own almond flour/meal.